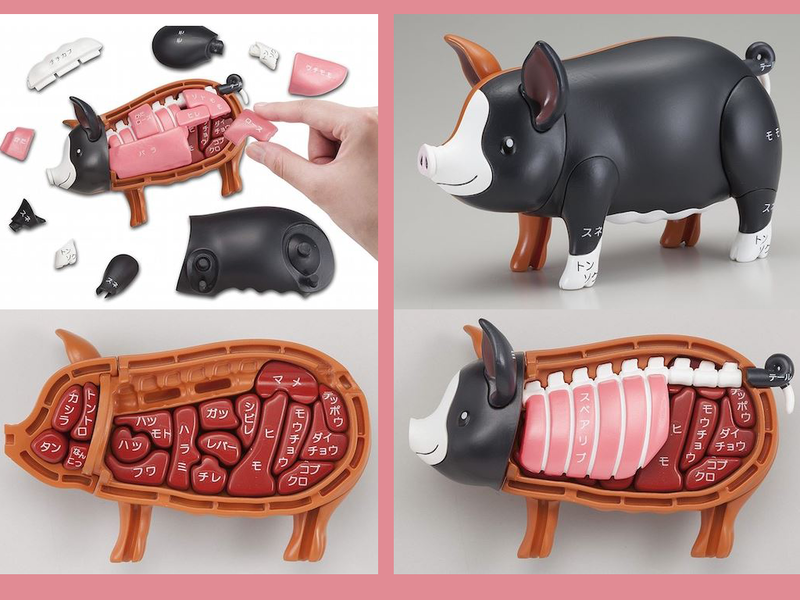 If you enjoy interesting puzzles then this Unusual and Fun 3D Pig Dissection Puzzle might appeal to you. This is not just cool for someone who enjoys puzzles but also for someone studying science or anatomy. A student that has a general interest in science will love solving this puzzle. There are only 42 parts that need to be placed. Because this puzzle is not overly complicated a quite young student may be able to complete it. This will of course depend on the general skill level of the person. Any collector of cool and unusual puzzles is sure to e impressed by the novelty of this puzzle. 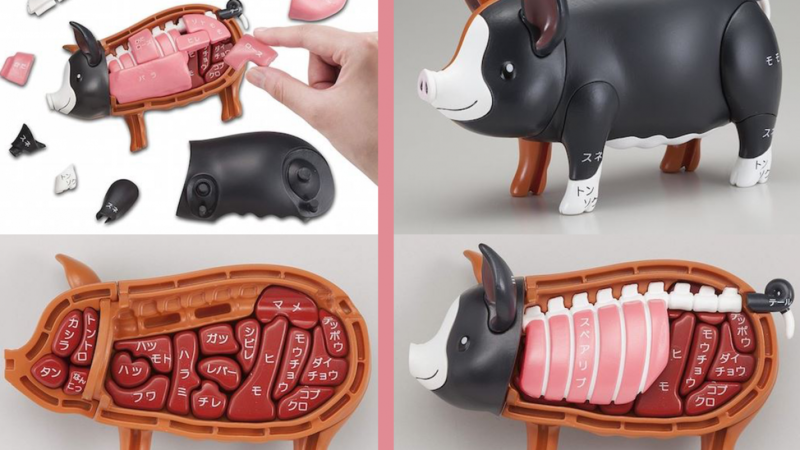 You can remove the skin and the sides of the pig in order to see the pieces inside. This puzzle may be more complicated than you think if you do not speak Japanese. The reason for this is that the pieces are labelled in Japanese. If you don't enjoy puzzles that are too easy to solve then that is probably a good thing for you. There is no need to be concerned though because diagrams are included with the puzzle and can be found online. The pig when whole looks like a living animal on one side and a roasted on on the other. The parts feature very simple shapes so you will not have to deal with weird looking guts or brains if you do not want to. If you enjoyed this cool pig puzzle then you may also like to check out the following.